OISCA Japan joined in the 5th Annual Gakkorin and Yuyu-no-Mori Children Summit that was held in Matsumoto, Nagano, Japan on the 4th and 5th of August. 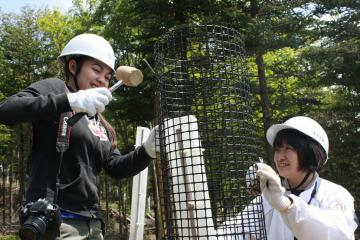 Gakkorin and Yuyu-no-Mori which means school forests are forests that can be used for educational purposes. The Gakkorin Summit spearheaded by Gakkorin Yuyu no Mori Children Summit Committee in which OISCA International is one of the core members is participated by 20 schools mostly from Hokkaido, Nagasaki, Aichi and Nagano Prefecture. The Provincial Government of Ilocos Sur in the Philippines presented to Barangay Dardarat Municipality of Cabugao the Hall of Fame Award after receiving the Best in Coastal Resource Management and having the highest production of Aqua Culture for three consecutive years. 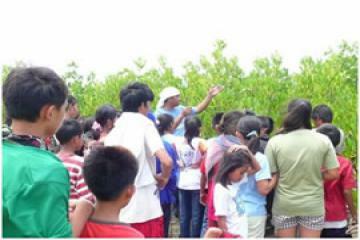 According to Barangay Captain Danilo Garcia of Barangay Dardarat, it is attributed to the maintenance of the 10 hectare mangrove vegetation along the coastline of the barangay. 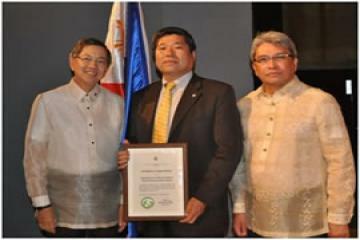 OISCA received a Certificate of Appreciation from the Embassy of the Philippines to Japan to recognize the supports and contributions of OISCA to the Filipino Communities affected by the March 11 calamity especially in Tohoku Region. The awarding ceremony was held on the 11th of June at Japan Education Center in Tokyo by His Excellency Ambassador Manuel M. Lopez and Consul General Sulpicio M. Confiado. 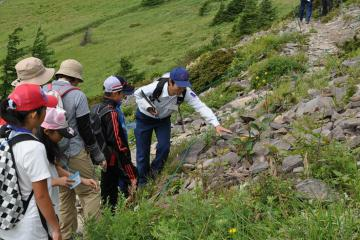 Tokyo Based diplomats, OISCA members, OISCA supporters and OISCA Training Center staffs and trainees gather together at the 1,500-1,600 meter altitude in the northern foothills of Mount Fuji in Yamanashi Prefecture for the 5th Annual Tree Planting activity organized by OISCA Japan on the 4th of June, 2011.